Why so? …because of the ubiquitous presence of cellphones throughout the globe. Another speaker, Tomi Ahonen recited the facts for the attendees. 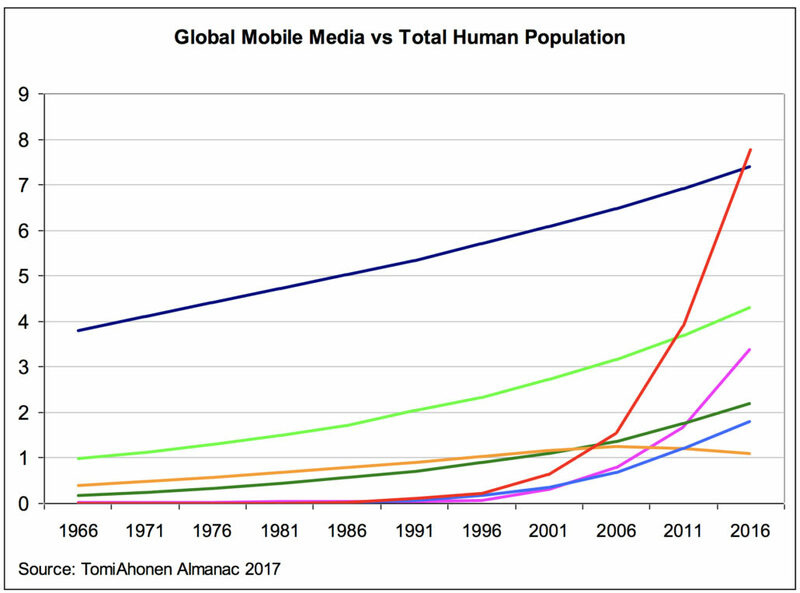 Today there are more cellphones on planet earth than there are people. Statistics show that there are anywhere from 7.6 to 7.8 billion phones in the world out of a population of 7.3 billion inhabitants. In countries where there are no indoor toilets there is sure to be a cellphone in the home. Financial estimates of the relative value of technologies confirm this. 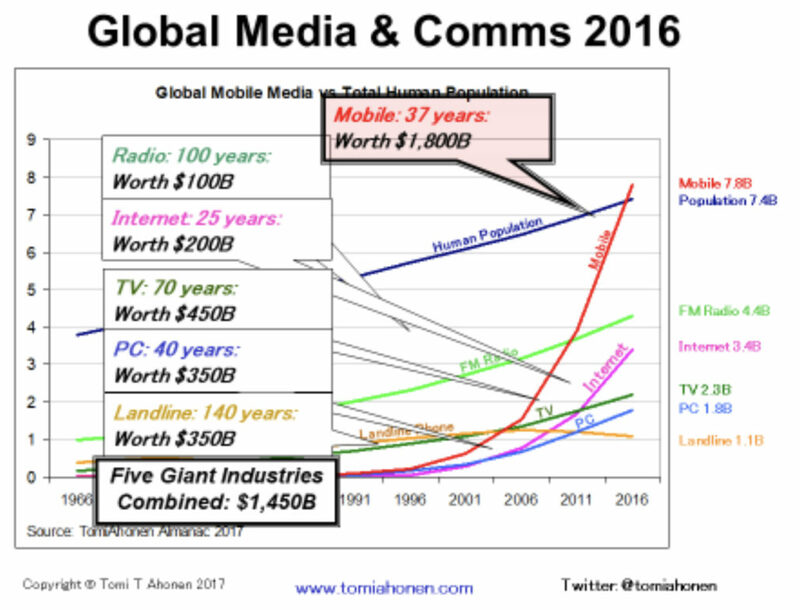 The five giant media industries, radio, internet, TV, PC and Landline have a combined value of 1,450 billion dollars. Compare that to mobile at 1,800 billion dollars. All of this led Tomi, an internationally recognized guru on the cellphone explosion, to declare that “we are just entering the golden age of the mobile phone. What does this mean for evangelicals? The possibility of communicating the Good News about Jesus Christ to every remaining person on the earth has never been more within the realm of possibility in this generation! Ready to reach your audience via mobile? Let us help you today!